In Management Studio I used to be able to hover over an object in a query window, like a table, and click the link to see the schema information. With my current version (8.0.6.188) the link shows up when I hover, but nothing happens when I click it. I really liked this feature and used it daily. Was it removed? Is there something wrong with my installation? Nothing happens when I click the object name to do display the object definition box. could you please send us the screenshot of the tooltip you're getting? The right documentation link for your version is this one. 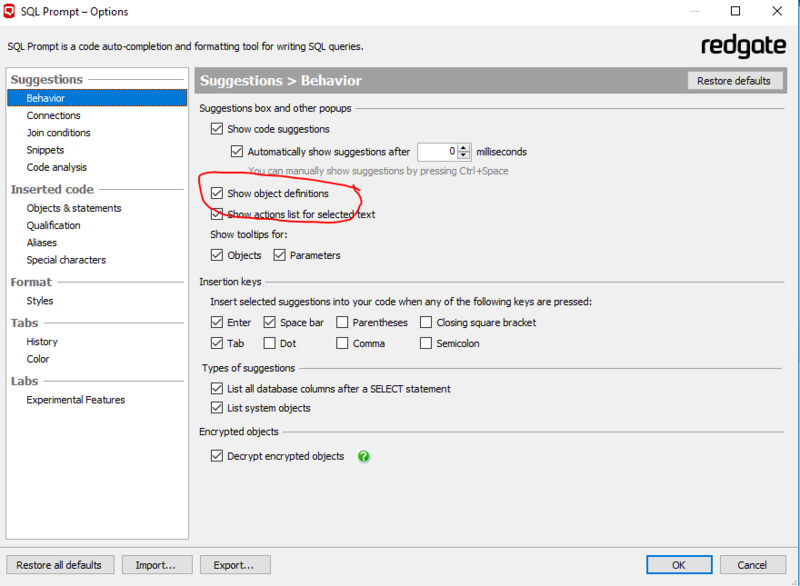 As the note states, you can turn off the box, following the instructions in the Showing or hiding the object definition box section. If you've accidentally turned it off, you should see the SSMS toolbox, if the SSMS intellisense is on, or even nothing. CTO @ Engage IT Services s.r.l. 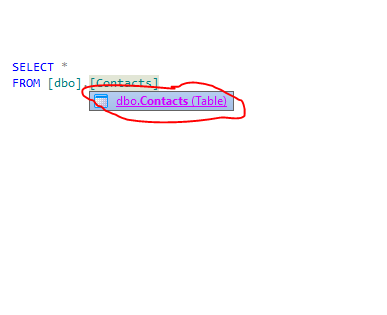 Previously I was able to hover over the table name in a query and SQL Prompt would show a tool tip. I could click on the fully qualified object name in the tool tip (circled in red below) and an object definition box would appear, like the documentation says. However, when I click on the tool tip, it just goes away without displaying the object definition box. If I were helping someone with this issue, my next question would be "Have you checked your settings?" In the screenshot below, circled in red, is the checkbox that controls this feature.Edit: as you can see in my settings, the feature is enabled like the directions suggest, but the feature still doesn't work. @AlessandroAlpi Sorry, I'm missing the part that's confusing you. The tool tip in the first pic pops up when you hover over a table name. When I click on the tool tip, the tool tip disappears and nothing happens. clicking the tool tip supposed to open an Object Definition Box like in the pic below. So, despite you've the setting "show object definition" turned on, you cannot get the tooltip yet. 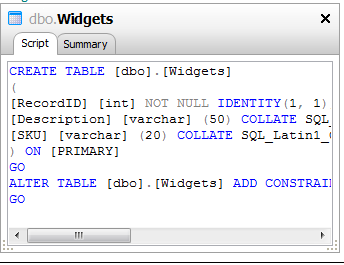 doing that, you can look for the SQL Prompt log files. what version of SSMS are you working on? Sorry for the inconvenience. What version of SSMS are you using? Can you send us logs (You can find them by a link which @AlessandroAlpi attached above)? We were also experiencing this issue but upgrading to latest SQL Prompt seems to have resolved it. @krzysztofkroczak I'm running version 11.0.2100.60, which is SSMS 2012 and 13.0.16.106.4, which is SSMS 2016. The tool tip pops up in both, but the when I click on the tool tip the object definition box does not open in either. 05 Sep 2017 17:38:32,263  INFO RedGate.SQLPrompt.CommonVS.BaseConnect.1 - Initialising DTE and AddIn connections. 05 Sep 2017 17:38:33,089  INFO RedGate.SQLPrompt.CommonVS.BaseConnect.1 - Initialisation successful. 05 Sep 2017 17:38:33,966  INFO RedGate.SQLPrompt.CommonVS.BaseConnect.1 - Startup() completed successfully.